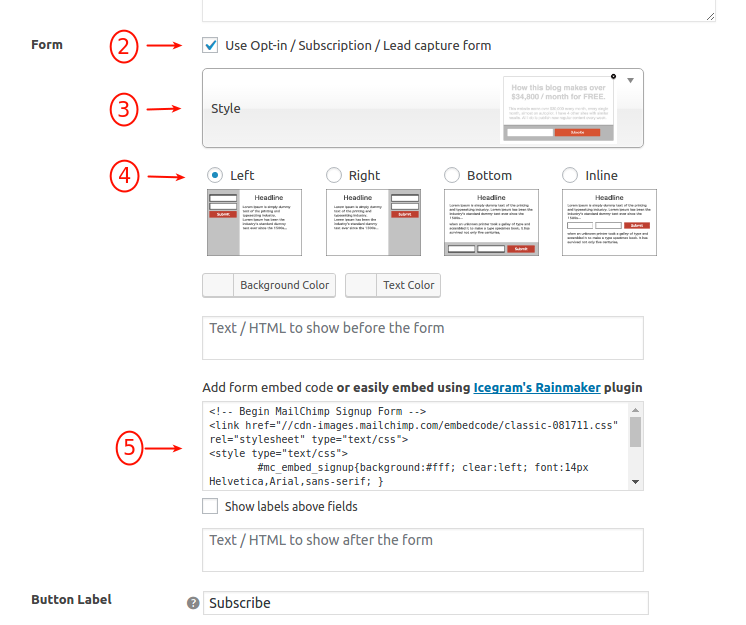 Step 3: Next select a form style. Step 4: Select the position of the input boxes. They are graphically represented so you can choose them easily. Step 6: Save draft and Check preview. If everything is well, Go live!